Repast - Description | W. W. Norton & Company Ltd.
Before Julia Child introduced the American housewife to France’s cuisine bourgeoise, before Alice Waters built her Berkeley shrine to local food, before Wolfgang Puck added Asian flavors to classical dishes and caviar to pizza, the restaurateurs and entrepreneurs of the early twentieth century were changing the way America ate. 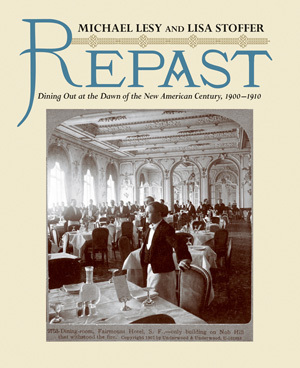 Beginning with the simplest eateries and foods and culminating with the emergence of a genuinely American way of fine dining, Repast takes readers on a culinary tour of early-twentieth-century restaurants and dining. The innovations introduced at the time—in ingredients, technologies, meal service, and cuisine—transformed the act of eating in public in ways that persist to this day. Illustrated with photographs from the time as well as color plates reproducing menus from the New York Public Library’s Buttolph Menu Collection, Repast is a remarkable record of the American palate.